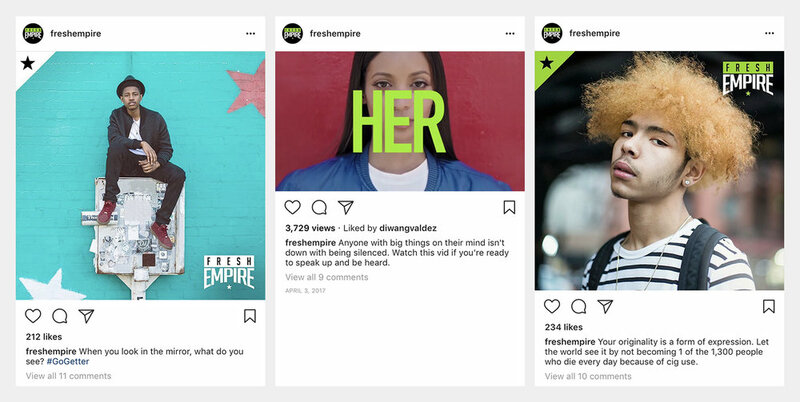 Launched in 2015, Fresh Empire was the FDA's first public education campaign designed to prevent and reduce tobacco use among at-risk multicultural teens ages 12-17 who identify with hip-hop culture. As they geared up to kick off, they needed photo and video assets - and lots of them. The images had to genuinely connect with and engage urban youth, so it was crucial for talent to be real and relatable; targeted street casting proved key. The other piece of the puzzle was the right talent behind the lens, so we teamed up with Shine & Polish collaborators, photographers Zach Wolfe & Diwang Valdez and directing trio Motion Family, all known for having their fingers on the pulse of hip-hop culture. Over the course of the campaign, we produced multiple shoots in cities and locations across the country. Thousands of photos were captured and several commercial spots were created for use across TV, print, social media, microsite and out of home. The content remains an integral part of their campaign presence today. 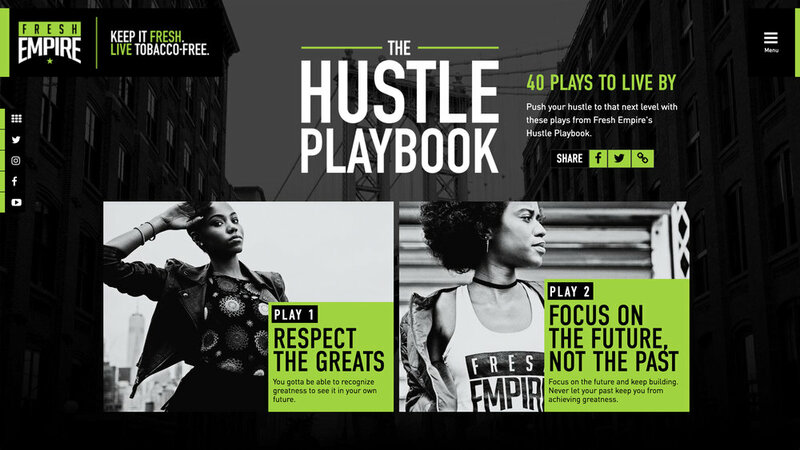 The 2017 Telly Awards named the Fresh Empire campaign the Silver winner in the Motivational category for Video / Shows / Segments, and a Bronze winner in the Public Interest & Awareness category for Promotional Pieces. It was named a finalist in the 2016 Shorty Social Good Awards in the Public Health category.